The INFINITY5 is a XC wing which will take every pilot to the next class with much safety. 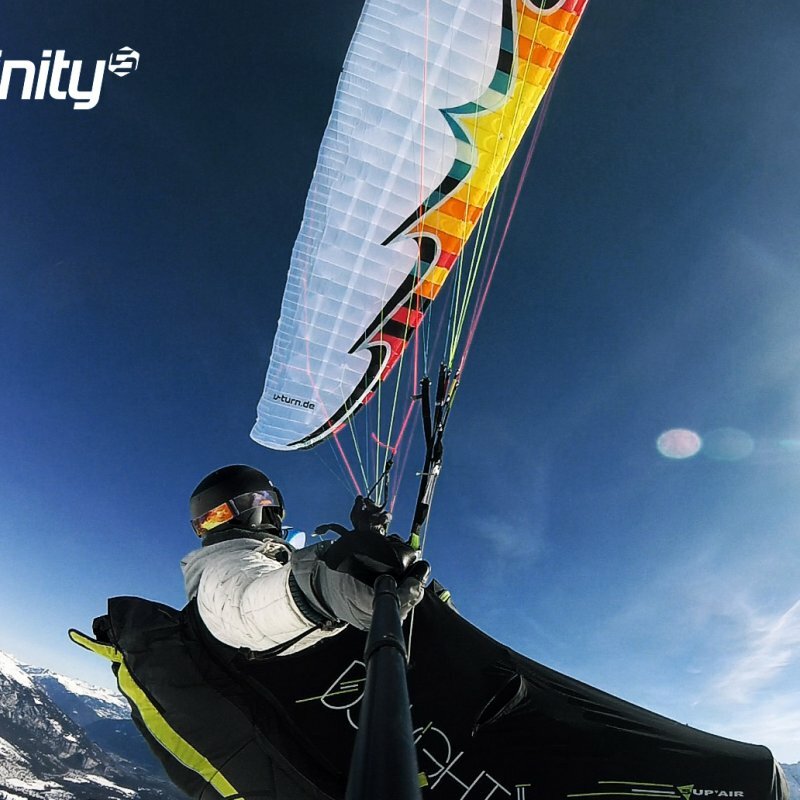 The endless flying fun with the legendary INFINITY-feeling goes into the fifth generation. During the development of the glider, everything was under the premise of making an honest low-end B-wing with maximum comfort factor. To translate the character of the Infinity to the current zeitgeist, the wing was completely newly built and equipped with the latest constructional insights. Thus the Infinity-typical sweet-tempered behavior is emphasized with more performance. The INFINITY 5 sets new standards in safe performance. 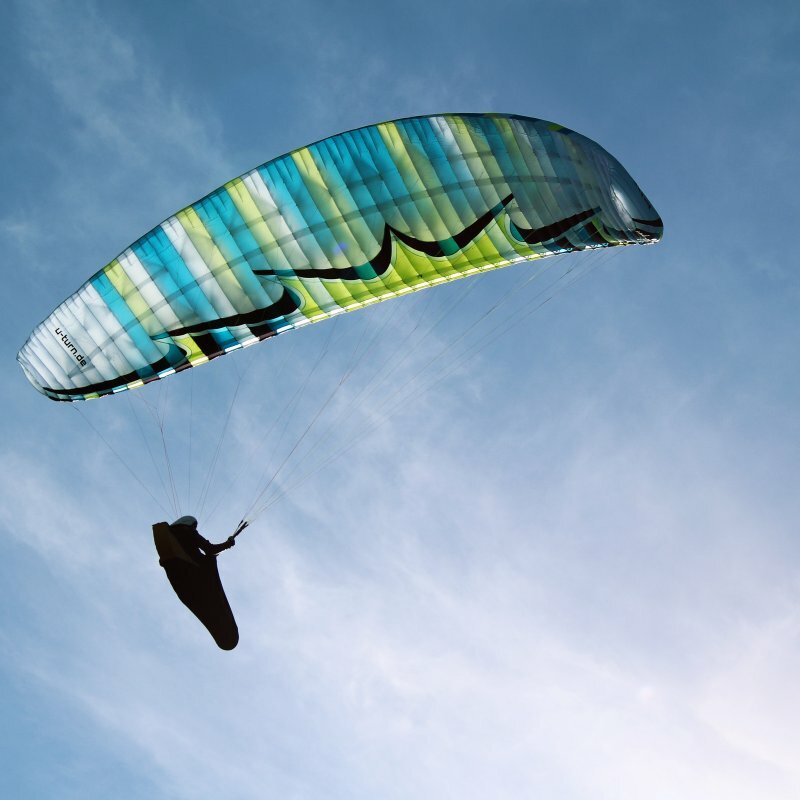 The excellent glider with outstandingly high tolerance in extreme flight situations is a real low-end B-wing which surprises with its strong performance. The INFINITY was already known as ascent-prodigy and the new concept grants a noticeable increase in the speed. Thereby the aspect ratio of the wing concept was able to be increased after every prototype without loosing the sweet-temperedness in the character description. The sleek wing lies well in the air and stays calm even in turbulent air masses. The INFINITY 5 is easily centered through its precise handling. Its gliding features enhance the constructional relation to its big brother CROSSROCK. 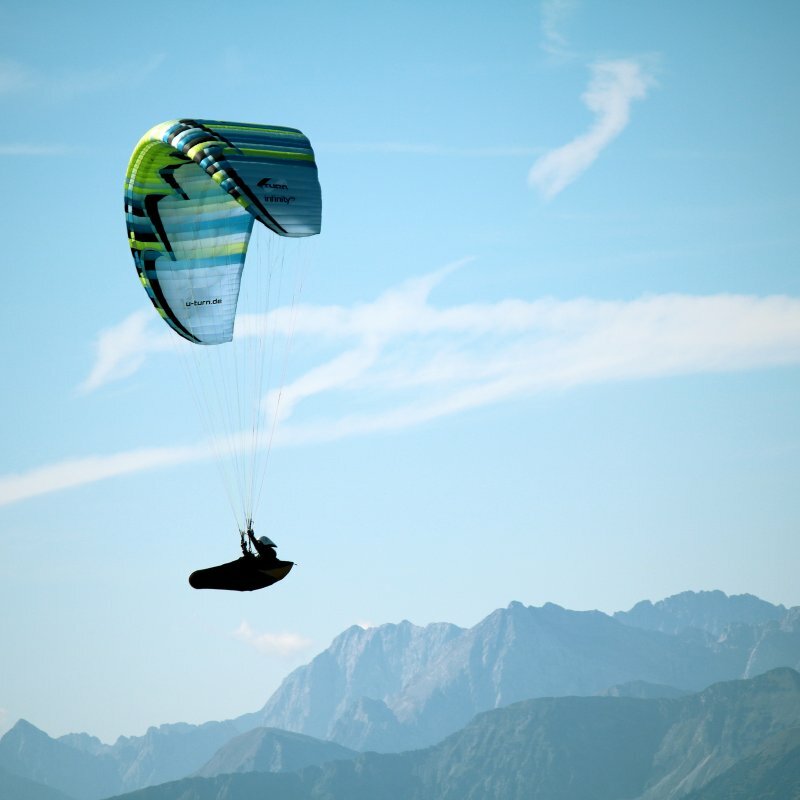 Already when launching the glider the balanced overall concept kicks in and facilitates the easy take-off. The INFINITY 5 will delight all pilots who want to take it to the next level and go XC with comfort. It is suitable for talented beginners (countries with EN-B-schooling certification) as well as for experienced XC hunters who want to turn it up with a high measure of safety. 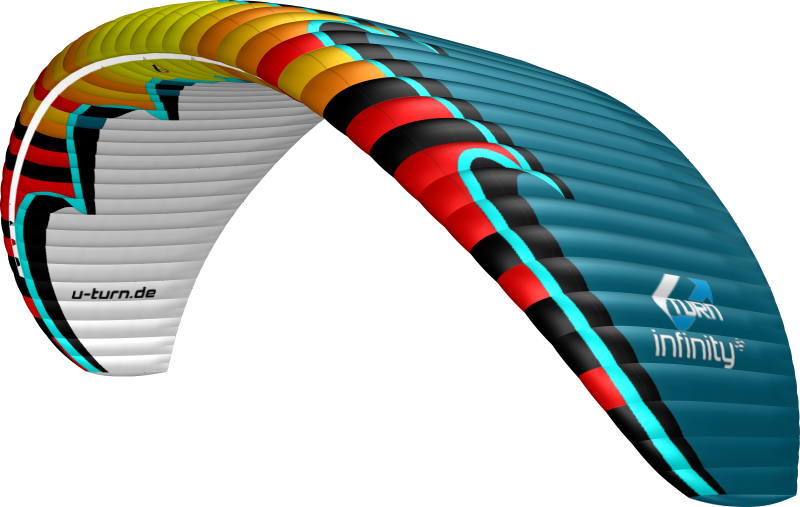 Head designer Ernst Strobl optimized the aspect ration of the wing in multiple steps. 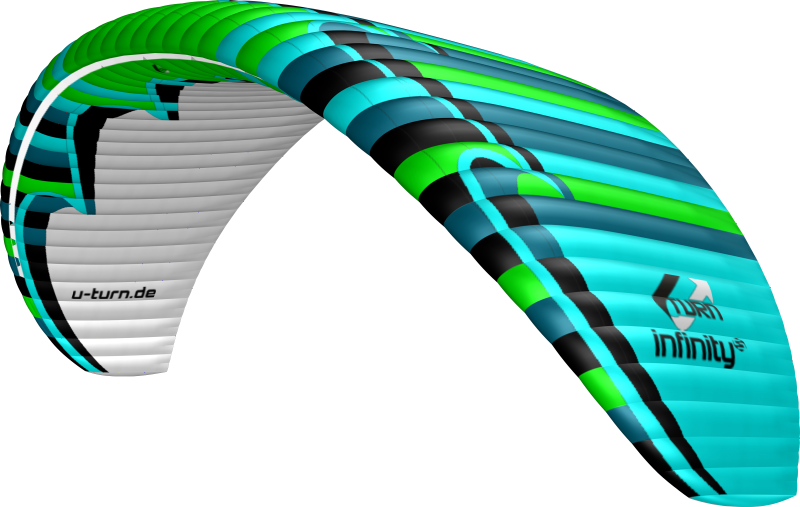 The enormous sweet-tempered features of the wing concept allowed high increase in performance. The INFINITY 5 is equipped with a sharknose which gives more stability at higher speeds. The 3D shaping gives the cell opening area a dynamic tension and enhances - in combination with the Precision Profile Nose (PPN) - the form fidelity in the nose-area. Elaborate calculations of the pre-tensioning and a precise ballooning help the profile to the perfect inflow. The High Pressure Crossport Design optimizes the lateral aeration of the Crossports and creates a balanced internal pressure of the wing. The line setup is very straight-forward with only 3 main lines. The line levels are color-coded, which helps a lot when sorting them and also during the flight. At the material-mix the focus was put on maximum durability. The top-materials Dokdo 30 and Dokdo 20 create an evenly light weight and high abrasion strength. Especially during the harsh conditions of schooling the material-mix for long-term durability optimizes the form fidelity permanently. An easy line conept with few main lines guarantees easy handling and a good overview during groundhandling. 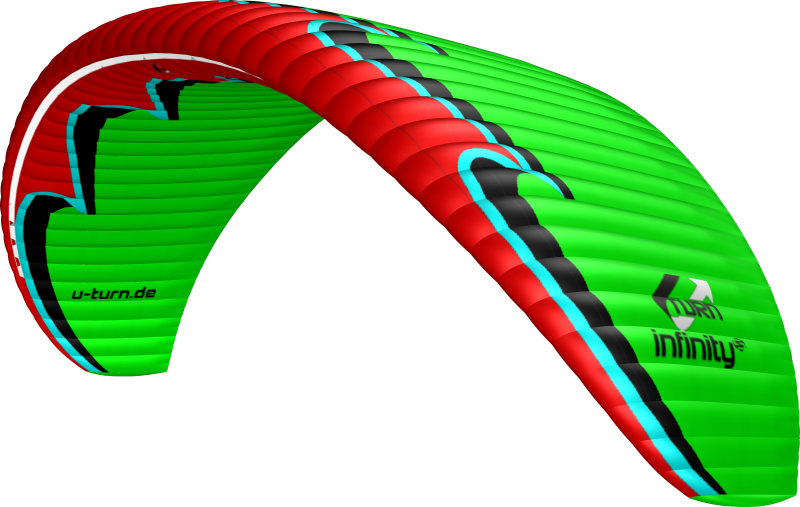 The glider is available in three attractive color combinations and in five different sizes from XS to L (55 - 128 kg). Convince yourself of the endless fun factor with comfort guarantee!